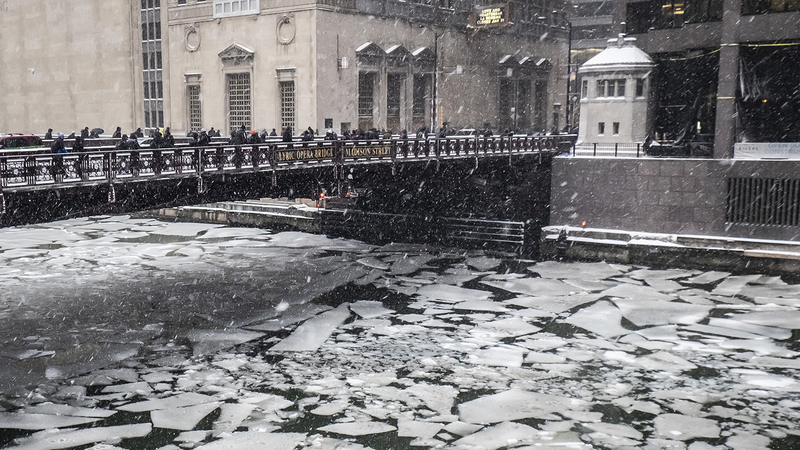 CHICAGO (AP) — The frigid weather moving across Illinois is prompting officials around the state to prepare for its impact. Chicago Public Schools announced that Wednesday’s classes have been canceled. The University of Chicago, DePaul and Northwestern Universities will close their campuses from Tuesday until Thursday morning. Columbia College Chicago will close at 6 p.m. Tuesday and remain closed through Wednesday. In central Illinois, some school districts, like McLean County Unit 5 will be closed Tuesday and Wednesday. Illinois State University in Normal announced Monday it will close at 11 p.m. Tuesday and won’t reopen until 9:30 a.m. Thursday. The cold will curtail Amtrak operations. Some scheduled trains between Chicago and St. Louis, Carbondale, Milwaukee and Detroit have been canceled. The U.S. District Court for the Northern District of Illinois will be closed Wednesday. Temperatures began their plunge Monday, with forecasters expecting wind chills to fall to negative 55 degrees in northern Illinois later this week.